In 1915, at Junkers, they constructed the world's first all-metal airplane bearing the J 1 brand name. It was a two-seat battle and reconnaissance aircraft, followed by J2 fighter. This text focuses on the Junkers F 13 transport aircraft, but not in terms of its worldwide use, which was famous, long and colorful. The following lines will be dedicated to a single Czechoslovakian F13, owned and used successively by several different entities, which, unfortunately, played a marginal to negligible role, with little convincing result. In the then Czechoslovak Republic (abbreviation of the RČS), a single piece bearing the serial number 741 and used between 1925 and 1933 was registered in no way at all. But before we get to the details, we will stop shortly with Professor Hugo Junkers, a scientist, designer and industrialist, as he is a prominent figure who has consistently entered the history of world aviation and whose creative invention benefits mankind to the present. In the interwar period of the golden aviation era, the name Junkers was synonymous with reliability and technical progress. Hugo Junkers (February 3, 1859 - February 3, 1935) graduated from the Berlin Technical College and devoted himself to designing and doing business in gas equipment. Besides, he was interested in science, especially in fluid flow and gas mechanics, which of course had a direct impact on his business. It was founded on July 2, 1895 by Junkers und Compagnie in Dessau, which dealt with the development and production of heat-engineering equipment, such as high-boiler flow heaters, bath stoves, and also measuring or laboratory instruments. In 1897, he was appointed professor of thermodynamics at the Aachen Technical College in Aachen, where he worked until 1912. Since 1909, he has expanded his business activities to a field of rapidly developing aviation and related fields including air transport. For the sake of interest - in 1910, Junkers patented the theoretical solution of the flying wing, the airplane without hull and tail1), and in the same year patented the corrugated sheet metal. After the outbreak of World War I (then known as the Great War), his factory began to participate in the war production by supplying tinware and field kitchens, but Junkers was also willing or unwilling to do military aircraft. In 1915, at Junkers, they constructed the first all-metal plane in the world, which had the factory designation J 1. It was a two-seat battle and reconnaissance aircraft, which was soon followed by a single-piece all-metal fighter J2 (military designation E II). 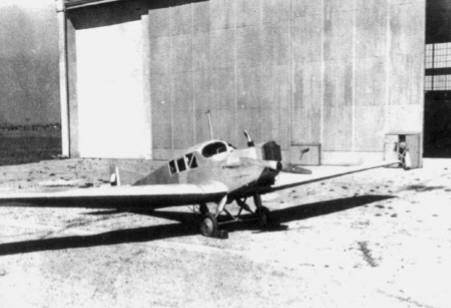 In addition, Junkerse developed two-seat battle types J4 (military designation JI - the first serially produced plane with corrugated sheet metal), J 8 and J 10 (Military designation CI I), from single-seat aircraft J 7 and J 9 (military designation DI). In his aircraft construction, Junkers first used a steel transformer corrugated sheet of 0.2 to 0.5 millimeter thick, later turned to dural. The reason for choosing such an unusual form of material was one of the most important features of corrugated sheet metal, more precisely its resistance to axial 2) stress and twisting. Professor Junkers always preferred all-metal construction, both because of its resistance, and also because the metal building elements could be variably shaped, which in wood as a traditional construction material is not always feasible. Another important reason was the fact that all-metal construction is self-supporting.